With the abundance of films featuring scenes in Maine’s beautiful outdoors, it’s clear that Hollywood can’t resist the Pine Tree State’s splendor! Filmmakers have frequently utilized Maine’s natural beauty as a backdrop to their films. 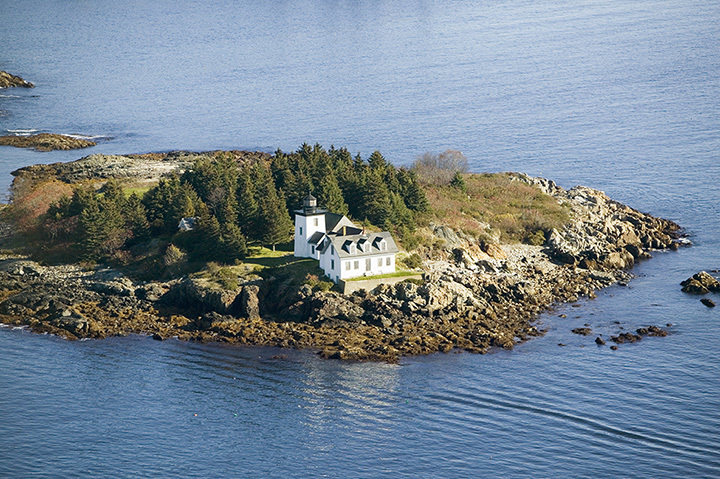 With incredible lighthouses, oceanfront cottages and sprawling rock cliffs, how can you not film here? Based on the 1983 horror novel by Stephen King, “Pet Sematary” was released in 1989. One of the most well-known movies filmed in Maine, scenes from the horror movie were filmed in Bangor, Bucksport, Hancock, Ellsworth, and Acadia National Park. The plot of the movie was inspired by a pet cemetery in Orrington where Stephen Kings lived in 1978. Starring Glenn Close and Christopher Walken, this 1991 three-part Hallmark film is based on Patricia MacLachlan’s novel of the same name was filmed partly in Stonington, Maine. Sarah Wheaton, played by Glenn Close who is married to a Maine man in real life, is a mail-order bride from Maine who moves to Kansas to live with Jacob Witting. She struggles with staying in Kansas or moving back home to Maine. Perhaps one of the best movies ever filmed, Tom Hanks plays Forrest Gump, a slow-witted but lovable man, who lives a remarkable life. While most the movie was filmed in Georgia, North Carolina, and South Carolina, one scene was filmed in Port Clyde, Maine. Remember when Forrest decided to run across the country? Well, he ran all the way to Marshal Point Light House! This 1999 film based on John Irving’s novel of the same name is based in Maine, but only part of the movie was filmed in Maine. The movie won two Academy Awards and touched on many different, emotional themes. Before “The Notebook” there was the “Message in a Bottle.” The 1999 movie, “Message in a Bottle,” is Nicolas Sparks’ first book turned movie. He now has 11. Starring Kevin Costner, Robin Wright and Paul Newman, this romantic movie was filmed in Maine, Chicago, and North Carolina. Most of the movie was filmed in Bath, New Harbor, Portland, and Phippsburg although in the movie the main character lives in Cape Cod. Remember that strange movie starring Robin Williams who played Alan Parrish, a man trapped in a board game for 26 years? Yeah, it was a bit odd, but among many millennials favorites growing up. The exterior of Alan’s father’s shoe factory was filmed at the Hurd Mill in North Berwick, Maine. In the movie, “Casper” is set in the town of Friendship, Maine, but the movie itself was filmed in Rockport. This childhood classic starring Bill Pullman and Christina Ricci is loosely based on the Harvey Comics cartoon character, Casper the Friendly Ghost. Leonardo DiCaprio was in Maine and no one told me? Most of this Hollywood blockbuster was filmed in Massachusetts, one key scene was filmed in Maine. The part of the movie where Leo is climbing on the rocks with the crashing waves was filmed at Otter Cliffs in Acadia National Park. Starring Mel Gibson, “The Man Without a Face” is about a young student who befriends a reclusive painter with a disfigured face from a car accident. The two share a close friendship that leads to rumors around town. The movie was filmed in a beautiful 1896 cottage owned by landscape architect, Frederick Law Olmsted, above the rocky coastline of Deer Isle, Maine. View more Maine Movie Theaters.